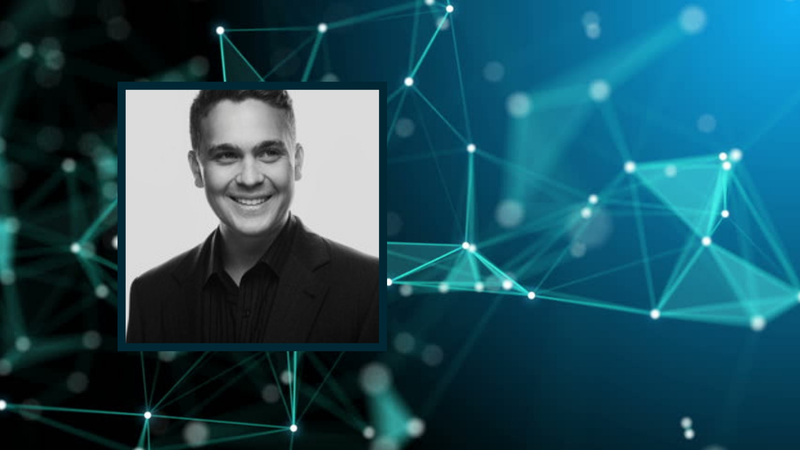 Startup pro and co-founder of Digital Consulting Group SEZC, a subsidiary of Insights Network and Cayman Tech City based company, is changing the way we engage with data. 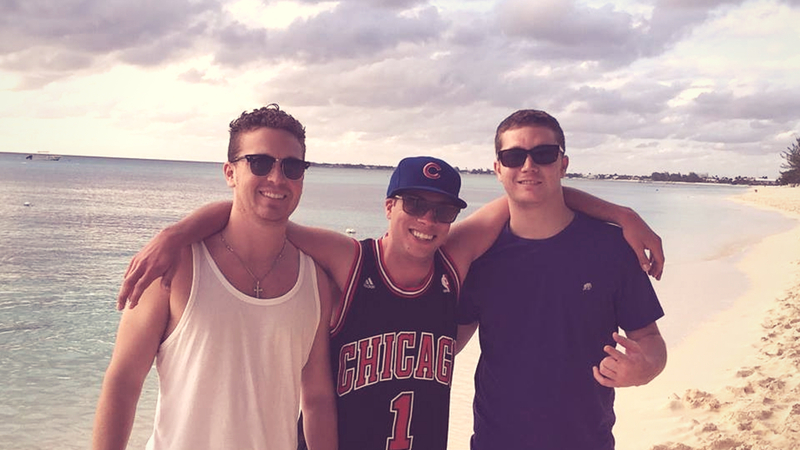 From mutually beneficial data exchanges to blockchain based incentive initiatives, Brian and his team are leading the global battle over big data while steps away from seaside margaritas, world-class dining, and the top dive sites in the Caribbean. CEC: For someone who doesn’t know your work. Tell us a little bit about what you do and the problem that you’ve set out to solve? 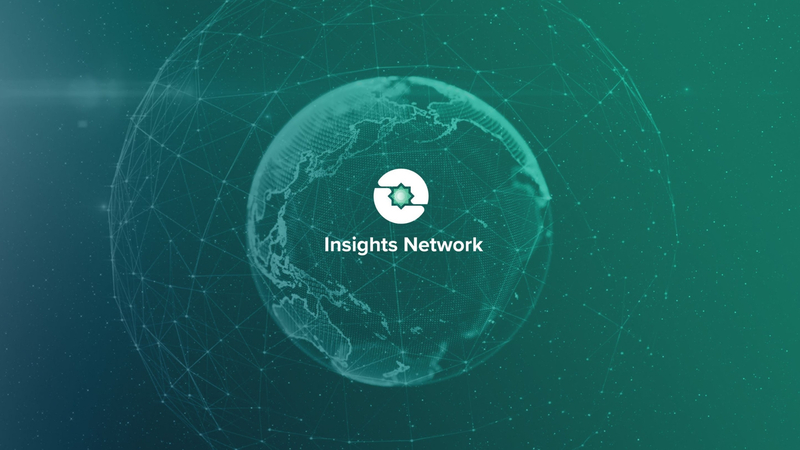 BG: Insights Network has created blockchain technology that restores privacy rights and data ownership to individuals rather than centralized corporations. Traditionally, corporations store information on their users in centralized databases which they manage and monetize at their discretion. This is very profitable for the Company while simultaneously predatory to the consumer, who provides all of the value but sees none of the return. Just about every human who engages with the internet generates valuable data that is used by corporations to improve their services - and hence - our quality of life. Unfortunately, much of this data ends up being sensitive and personal, and something you wouldn’t want shared. Using Insights Network technology, consumers can now host all of the data they generate on the internet on their devices in fully encrypted form, rather than on central servers. If corporations or market researchers want access to this data, they can instantly pay for it on the blockchain and receive the data in a consensual exchange provided by the user. While this may sound complicated, we’ve started very simple with our first use case being surveys. Users can go to https://instarwallet.com, validate their accounts, and begin participating directly with survey groups who want to collect their feedback; all while maintaining their privacy and being rewarded for their data in digital currency. CEC: If you could describe your SEZC company, in one word what would it be? CEC: We see you’re a Y-Combinator alumni, what was that experience like and how has it helped/influenced your career? BG: Y-Combinator was a life changing experience. Thousands of startups around the world apply to be a part of the Y-Combinator investment accelerator each year, but less than 1% or 2% are selected to be a part of the program. First you apply online, and then if you’re fortunate, receive an in-person interview in Mountain View, California at Y-Combinator headquarters. If you’re really fortunate, you pass the interview and get accepted to the program. The program is an intense, 3-month accelerator where you attend in person meetings in Mountain View with group leaders who are some of the brightest, most accomplished minds in the history of internet technology. At the end of three months, you pitch your project live on stage to the world’s most renowned Venture Capitalists and Angel Investors. Post program, there is an alumni network of the couple thousand founders who have gone through YC. The knowledge gained from going through the program and the strong alumni network has given me opportunities I never would have had otherwise. If you want to start a startup, I highly suggest applying for y-combinator on their website. CEC: What is the biggest challenge your industry is currently facing and how do you navigate the blockchain buzz and crypto hype? BG: Blockchain education is lacking. You’re just beginning to see universities incorporating blockchain into their course offerings. There really isn’t a reliable educational course on the Internet that anyone can point to and say “start here” to learn. This results in a lot of disinformation, and the scope of most individuals’ knowledge of blockchain technology being limited to the clickbait articles they see on the internet, or the brief, dramatic, misleading headlines they see in the mainstream media. In 2017, the blockchain/cryptocurrency industry saw a massive influx of capital, which resulted in a manic speculative bubble fueled by uneducated individuals worldwide buying into the assets. This caused their value to far surpass the quality of the existing technology’s real value, which resulted in a spectacular crash in asset values, referred to as a bubble, that left many new users sitting on significant losses in the value of their crypto assets. There is a positive result to this situation, however, as real technology developers who are working on serious projects can focus on producing technology, rather than speculative waste. What we are seeing now is skepticism from non-industry folks when pitching the technology, but that is beginning to subside as the industry continues to progress. Working through this skepticism towards universal adoption is currently the biggest challenge. It will be solved by quality projects solving real world problems. CEC: Tell us, what does the future look like for data/decentralised data? BG: In ten years, data will almost certainly no longer be sold privately without the users’ knowledge. Insights Network is paving the way towards consensual data exchange, and I expect to see that become the gold standard in the very near future, even though I say ten years. User monetization of data will occur due to projects like Insights Network and other Blockchain projects, however, I’m not sure we will see this model adopted by Corporations like Facebook, as it would disrupt their top priority, which is shareholder returns. I expect Facebook will launch user consent on data sharing, but the monetization aspect of a project like Insights Network is definitely a thorn in the side of centralized corporations like Facebook, and I expect to see hundreds of projects similar to ours popping up over the next few years. CEC: For us non-techies, what’s the latest lingo, concept, trend... we should be Googling right now? BG: Outside of blockchain technology, I think the most exciting work that’s being conducted is gene editing/gene therapy. There are companies, such as CRISPR, which have already edited the genes of humans to (hopefully) permanently eliminate disease such as HIV. A recent study at Harvard even found that we can potentially edit one of our human DNA strands that would allow for the regeneration of lost limbs, meaning if you lost one of your limbs, it would grow back on its own. This is totally crazy stuff and if you start educating yourself about it now you will be ahead of the curve! CEC: What’s the best advice you can give someone who’s considering setting up a company in CEC’s Cayman Tech City? BG: Get in touch with the team right away. The team at CEC is so helpful and goes above and beyond to provide a seamless onboarding experience. What I mean by that, is they will educate you about the island, point you in the right direction of who to speak with to get set up with living arrangements, setting up bank accounts, and just about anything else you can think of. Rather than try to do your own research and speak with different parties, just work with the CEC team, they provide an end to end solution. We could’ve saved a ton of time and cost if we knew this ahead of time. CEC: You mentioned that you’ve been visiting the Cayman Islands for over 15 years. How has the Island changed and where do you see things going? BG: The island has developed significantly but the culture has stayed the same – which is great! When I first arrived, it was right after Hurricane Ivan, which had caused serious damage to the island. My family came because we were supposed to do our usual vacation to Cancun, but the damage there was even worse, so our travel agent sent us to the Cayman Islands as a back-up plan. Upon arrival, we were really blown away by the beauty of the island and decided to try scuba diving for the first time. 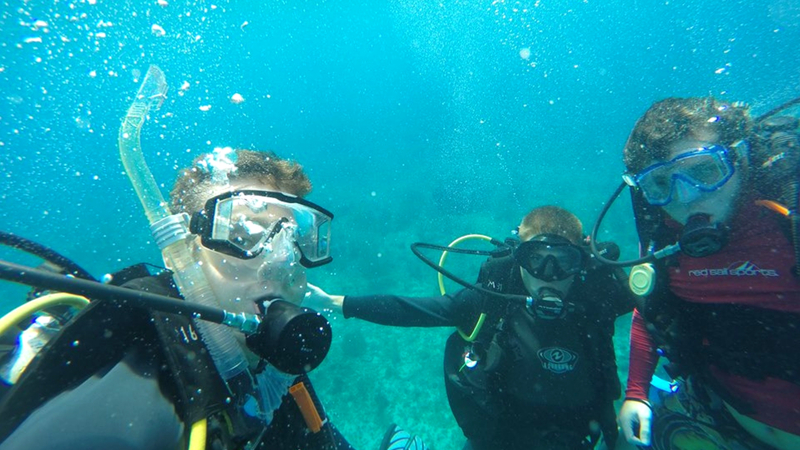 The next thing we knew, we were coming back every year during the Thanksgiving Holiday for a family dive trip/vacation. Since then, due to a certain real estate superstar developer whose name you will know within 30 minutes of landing in the Cayman Islands, the Island has been drastically developed, and turned into what I believe is the most efficient, well run offshore business island in the world. It has a very family feel to it and is a very comfortable place to live. 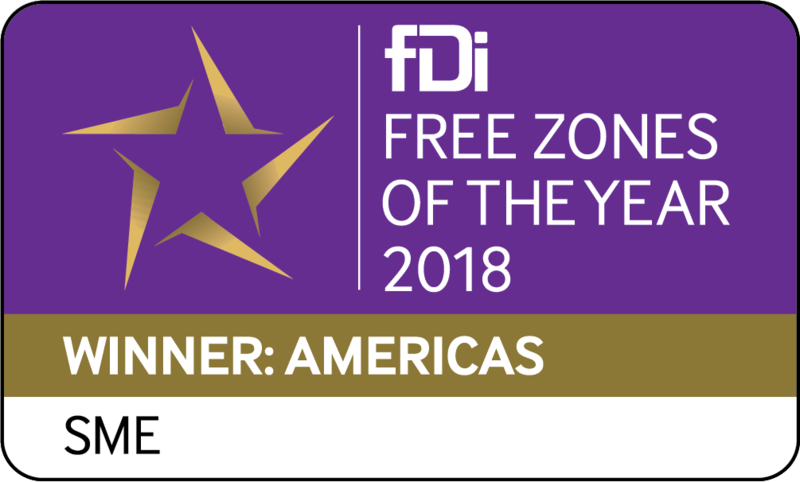 Cayman Enterprise City has done a phenomenal job growing the number of Companies who have come to the Island, which has had a big impact on rejuvenating a real estate market that was devastated after the hurricane. Moving forward I expect the value of the local economy to continue to increase at a high growth rate. There are many more massive hotel developments already in the works and Cayman Enterprise City continues to scale and bring more talent and capital to the Island. CEC: Is there anything else you would like to add? Or anything else we haven’t asked that you would like to mention? BG: Come set up your Company in Cayman!